Gorgeous Titanium Metallic 2002 BMW Z8 Roadster over Black Leather with 29,800 miles! Only three owners from new, complete with both keys, tools, first aid kit, new Continental high performance tires, and fresh 30K recommended service completed in May 2018! Very fast, very fun, and very rare BMW investment! One of only 524 produced in 2002! Designed in secret for nearly nine years, the brilliantly sculpted BMW Z8 (internally coded E52) was loosely based in homage to the BMW 507 of the late 1950’s. Those limited production, hand built roadsters produced from 1955-1959 would mean only 252 BMW 507’s could find USA soil. All of which went to people of wealthy means considering their $10,000+ MRSP! Thanks to BMW designers and engineers in the 1990’s, a fresh retro version was sitting on the design pages until 1997, when a concept vehicle hit the Tokyo Auto Show scene nicknamed the “Z07.” Further development into 1999 provided Hollywood, and James Bond, the first seen Z8 for the movie “The World is Not Enough” featuring Pierce Brosnan behind the wheel! The general public could finally have one of their own in 2000, with production ceasing for United States buyers in 2003. Only 2,543 units would ever be available, all of which continue to explode in collectability today! Similar to the BMW 507, the newly revised BMW Z8 body was built entirely of aluminum, but this time with modern space frame technology for utmost rigidity, also consisting of all-aluminum suspension components. The powerful 4.9L V8 engine (shared with the larger M-Series M5 sedan) produced 400 horsepower and 370 lb. ft. of torque through a smooth shifting 6-speed manual transmission! Considering the car was perfectly designed to provide an equal 50/50 weight distribution, comfortable 2-seat passenger compartment, and nothing left off the creature comfort list, the Z8’s weight was shaved down to only 3,494 pounds to provide one of the most adrenaline-charged rides one could buy in the early 21st Century! Even Car and Driver Magazine test results showed the Ferrari 360 Modena couldn’t match this little rocket in acceleration, braking, and handling! Finished in highly desired Titanium Silver over Black leather interior! Fully featured to include air conditioning, power 4-wheel disc brakes with ABS, Xenon headlamps, color matched auxiliary hardtop, power folding soft top, chrome exterior power sport mirrors, power windows, heated seats, full driver instrumentation, 18” silver painted alloy wheels, aluminum door sill plates, keyless entry, Anti-theft alarm system, dual vanity mirrors, and so much more! This 2002 BMW Z8 Roadster began life selling new from the luxurious Midwestern Auto Group based out of Dublin, OH in December 2001, likely as a lease vehicle. It accumulated only 1,014 miles during the first three years of life before selling to the second owner through the Toy Barn, also of Dublin, OH, in March 2004. This second owner was located in the East Hamptons, NY where the car would be driven regularly during summer months for the next 12 years. Always serviced and maintained at Country Imports BMW located in Southampton, NY through 27,960 miles. The final and most recent collector, Evergreen Historic Automobiles, purchased in August 2016 and added only 870 miles to the odometer exercising it these last couple of years. 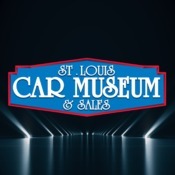 Upon arrival to the St. Louis Car Museum, we performed a full service to include all new drive belts, new engine oil/filter, engine air filter, fresh cabin air filter, new power steering reservoir hose, flushed brake fluid, along with new trunk support struts, cleaned MAF sensor, and upgraded steel oil pan drain plug insert. A truly outstanding example throughout, is has been wonderfully maintained since new! This 2002 BMW Z8 Roadster has beautiful paint without any paint work history, very clean interior leather, and complete with factory boot cover, windscreen, tool kit, both keys, and clean CarFax report. These cars are not only very exciting to drive and enjoy, they have also proven to be very robust and dependable for collectors who also enjoy actually using their investments! These are incredibly fast, naturally-aspirated V8-powered cars, which are making a slow departure from the sports car market these days. The growl from the exhaust is exhilarating! A swiftly accurate manually-shifted 6-speed transmission and the simplicity of an interior with instrumentation catering only to the driver’s eye really make for a visceral driving experience! And yet, you have all the creature comforts you desire, and nothing more. It just begs to be driven! I guess the BMW slogan said it better as “The Ultimate Driving Machine!” Please feel free to call with additional questions or to schedule a chance to review in person. We look forward to working with you!